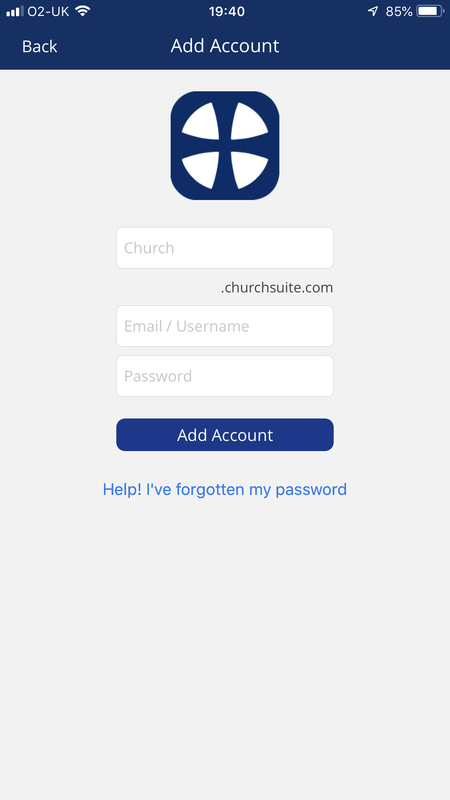 In this article we provide a visual walkthrough of the login process for users and church members accessing ChurchSuite and My ChurchSuite using a web browser or app (iOS/Android). 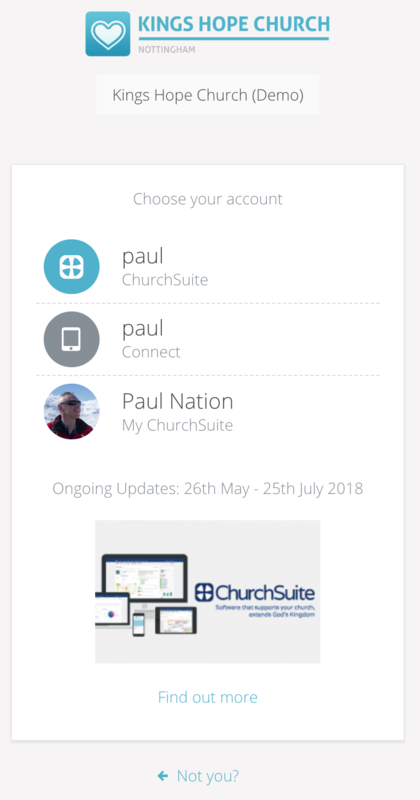 In this article we distinguish Users, who access the various modules in your church's admin-facing ChurchSuite system or ChurchSuite Connect, from church Members who will access the member-facing My ChurchSuite. Users can log in with their username or user email address, and their password. Members will log in with their email address (recorded in their Address Book profile). 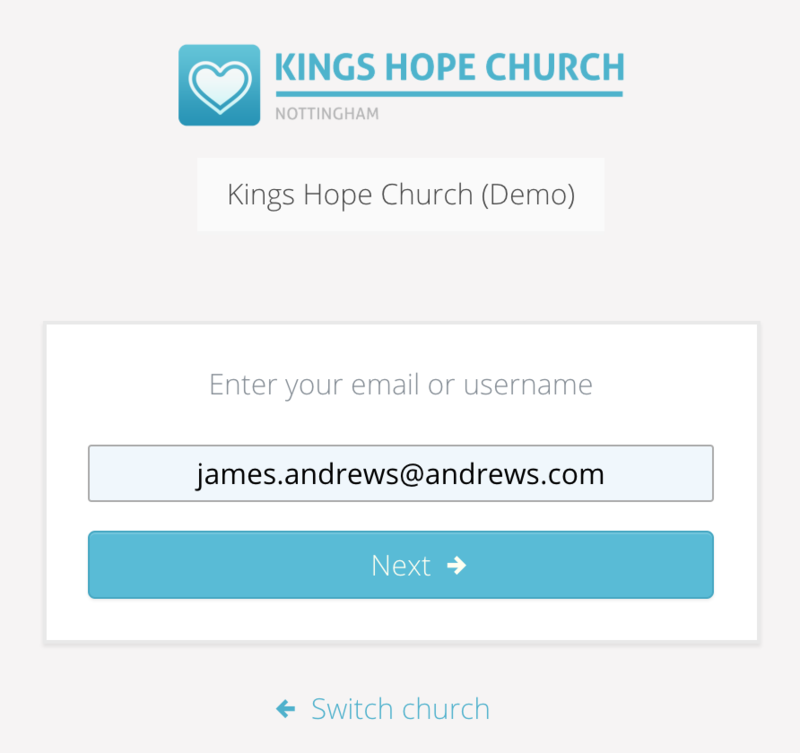 Where a user is also a church member, and as long as their user account is linked to their Address Book profile (see Top Tip below), the login process will intuitively provide a list of all the user/member's ChurchSuite, Connect and My ChurchSuite accounts regardless of whether they use their username, user email address or contact profile email address. Where users are also church members, we recommend that you link their user account to their contact profile in the Address Book, as explained in this support article. 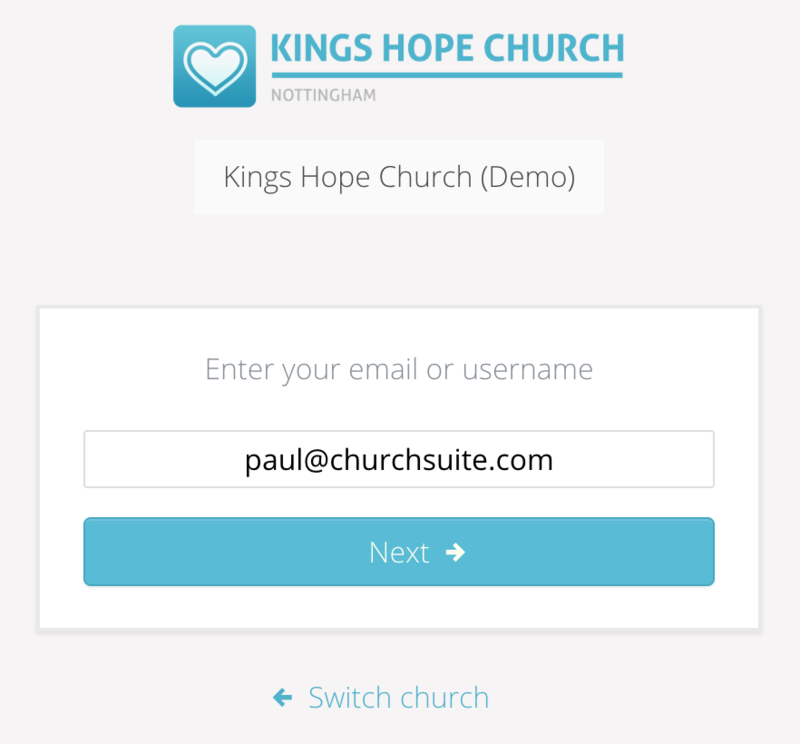 Doing so will make the login process more intuitive for those users; allowing them to enter their user email or contact email address or username and they'll receive a full list of all their login profiles - for ChurchSuite, Connect and My ChurchSuite. Browse to login.churchsuite.com. You may also wish to bookmark this login page link or add the page link to your browser "favourites". Begin by searching for your church name - you'll only need to do this once as a browser "cookie" will remember your church selection the next time you open the login.churchsuite.com login page. 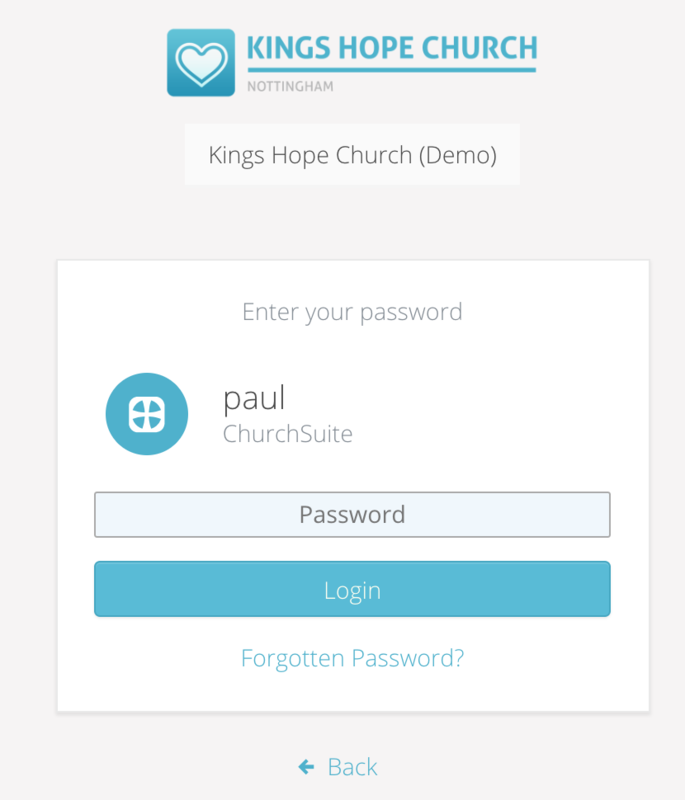 For example, your can church members can bookmark the /my login link for direct access to My ChurchSuite. Enter your email address. Users can optionally enter their username if they wish. Click Next to continue to the next step. ...and then they can enter their password (case sensitive) to login, or click Forgotten Password? to request a password reset email. Note that password reset emails are only valid for 24 hours and can only be used once. Each password reset request invalidates previous requests, so if you have made multiple reset requests, always use the most recent password reset email received. After entering your password, click Login. In the example below, Jim will be logged in to My ChurchSuite as that is the only ChurchSuite account linked to his email address. ...and enter his password for that account. Click Login to complete the login process. 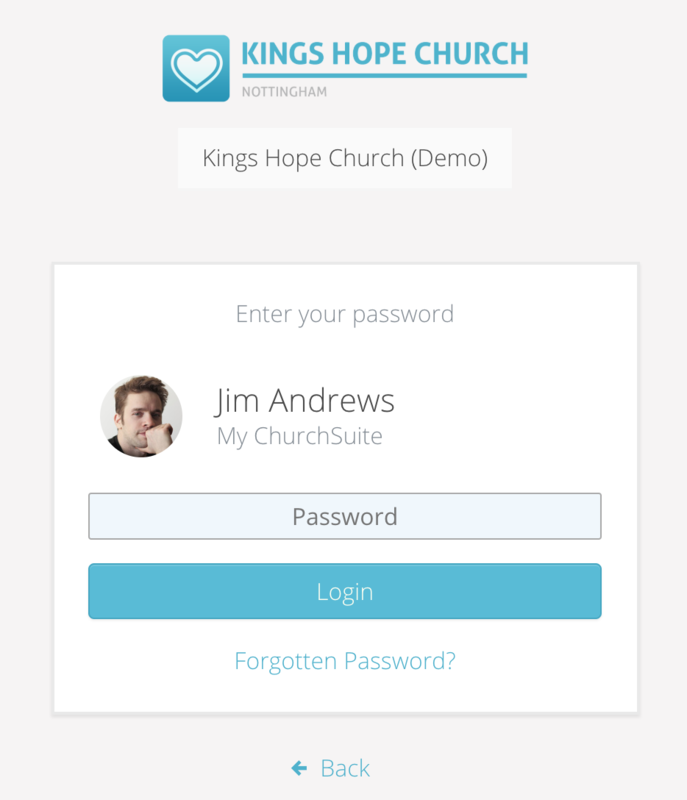 Login through the ChurchSuite iOS and Android app works in much the same way. See the related support article about apps for further information. 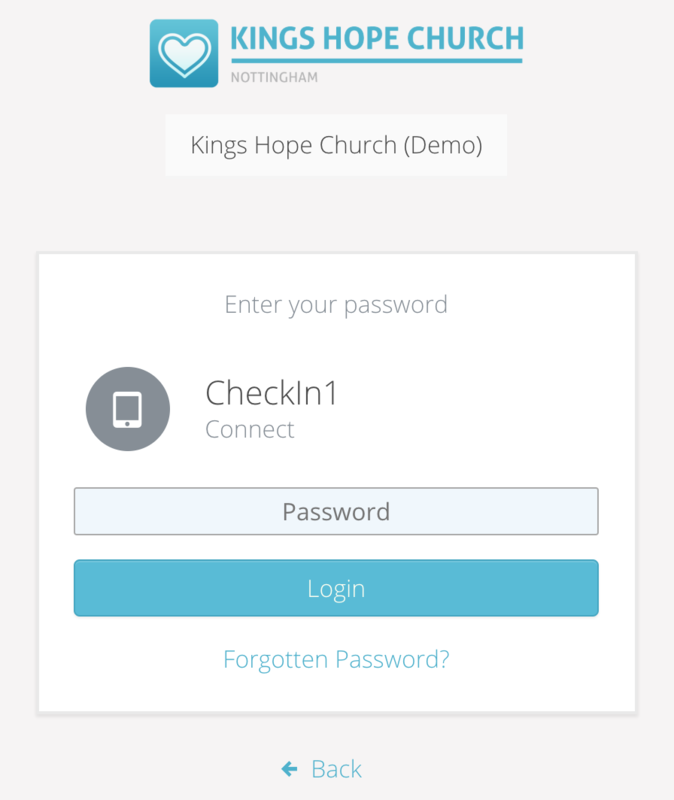 Having installed the app on your device, opening the app prompts you to enter your login details, beginning by searching for your church name. 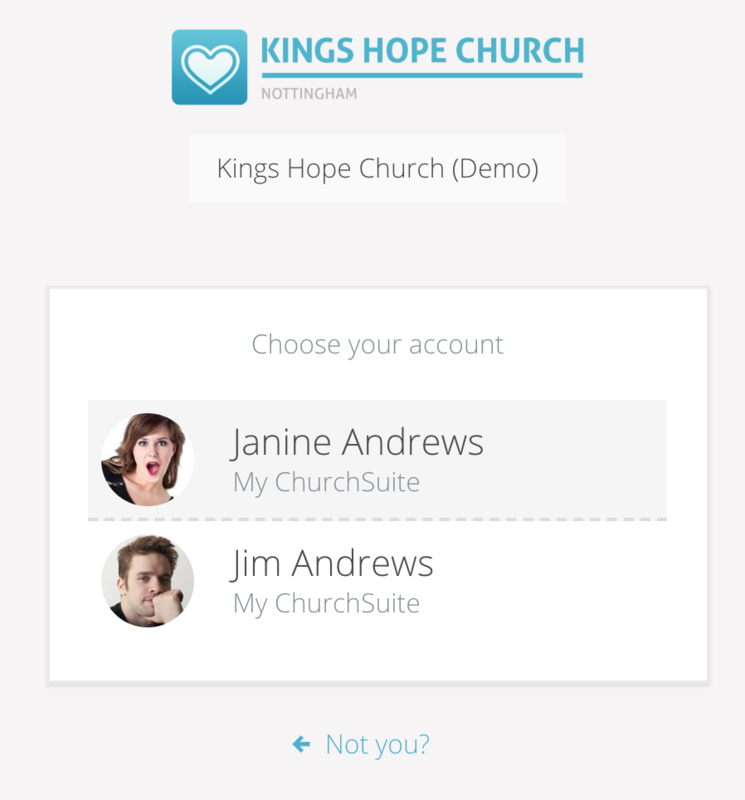 Users can enter their username and password, and this will create both their ChurchSuite user account and their linked My ChurchSuite account in the app - users can easily switch between their accounts within the app without needing to log in each time. 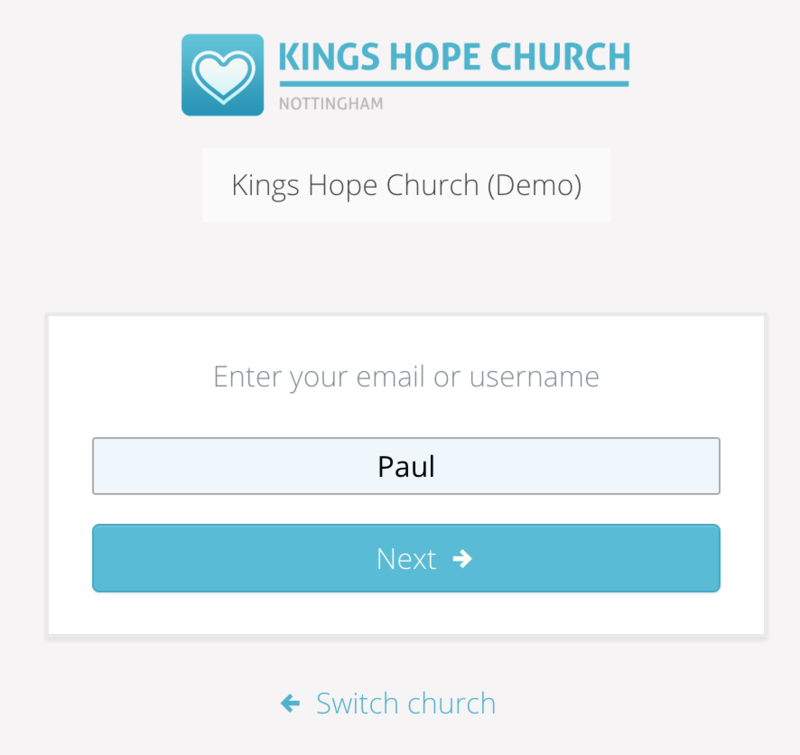 Church members will enter their email address - the same email address that you have in their Address Book profile - and their password. Couples sharing an email address must have unique passwords so that the app is able to determine which person is logging in.